Dimensions 0 by 5.08 by 7.80 in. Spinoza is among the most controversial and asymmetrical thinkers in the tradition and history of modern European philosophy. Since the 17th century, his work has aroused some of the fiercest and most intense polemics in the discipline. From his expulsion from the synagogue and onwards, Spinoza has never ceased to embody the secular, heretical and self-loathing Jew. Ivan SegrÃ©, a philosopher and celebrated scholar of the Talmud, discloses the conservative underpinnings that have animated Spinoza's numerable critics and antagonists. Through a close reading of Leo Strauss and several contemporary Jewish thinkers, such as Jean-Claude Milner and Benny Levy (Sartre's last secretary), Spinoza: the Ethics of an Outlaw aptly delineates the common cause of Spinoza's contemporary censors: an explicit hatred of reason and its emancipatory potential. Spinoza's radical heresy lies in his rejection of any and all blind adherence to Biblical Law, and in his plea for the freedom and autonomy of thought. 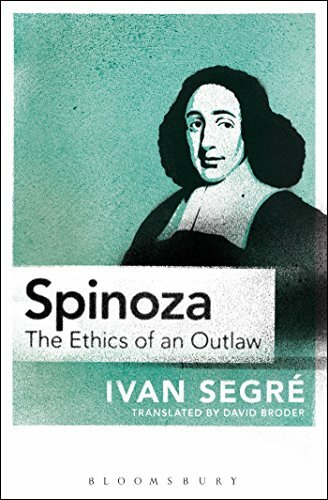 SegrÃ© reclaims Spinoza as a faithful interpreter of the revolutionary potential contained within the Old Testament. About: Spinoza is among the most controversial and asymmetrical thinkers in the tradition and history of modern European philosophy.